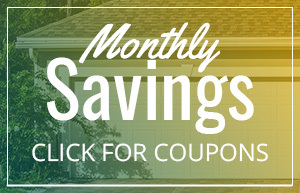 Click for this month's Coupons! These guys are awesome! They make you feel like you are the best customer they have and always take great care of you! First State Garage Doors does excellent work for a great price! Thanks for your fair and honest approach to business. Frank did a great job! We highly recommended First State Garage Door! They are prompt, fair, honest and perform outstanding service. Calls are always returned promptly. I recommend them heartily!! They are the best. The best! We used them at our old house and wouldn’t trust anyone else at our new house. Honest, hardworking guys that do what is needed at a fair price. We needed emergency service today for our garage door. Super impressed with the quality of the service provided from First State Garage Door but totally amazed that it came without any additional service fee! We will highly recommend your company to all our friends. Thank you Mr. Stewart and company. Frank and Phil did such a great job with my garage door installation. From consult to completion they were 5 stars. Thank you! Thanks to Frank at First State Garage Doors for the speedy response to my call about a snapped spring. Returned my call within 10 minutes and arrived an hour later to do the job. He checked out and serviced our other door as well-set up with new pulleys, cables and springs. […] in under 2 hours from when I placed my call. […] Nice doing business with Frank and First State! I am a proud supporter of small businesses like First State. Frank was great! Very pleasant and helpful. He arrived earlier than promised and fixed the problem quicker than expected. The repair was less expensive than the price of other place’s service fee for coming out. Very impressed. I would recommend First State Garage Door to everyone. Frank was a pleasure to work with. He explained all the details about the different types of doors and options. This made the decision process much easier. The install went great and they delivered on everything that was promised. I would highly recommend First State Garage Door if you are in the market for new garage doors. We just had our garage doors installed!! First State Doors out of 4 estimates got our business […] because they stand behind their doors. The owner personally [installed] the doors and [they] are guaranteed. […] The Wayne Dalton Door is just far better in every aspect […]. Thank You so very much for such gorgeous garage doors!! They also add to the value of our home..
At First State Garage Door, you’ll get the quality you need with the no-hassle customer service you deserve. We have been providing honest communication and competitive pricing to the greater Delaware area for over a decade. We are dedicated to 100% customer satisfaction and we can’t wait to work with you. Let’s work together to find exactly what you’re looking for. We can get you up and running again in no time. First State Garage Doors is a Delaware Garage Door Company, installing new garage doors and openers, as well as repairing existing garage doors and systems. They are committed to providing quality, and will work as long as it takes to provide the best experience and service possible. Their employees are dedicated, knowledgeable, and professional, and are prepared to answer any questions you might have. Get the quality you need with the no-hassle customer service you deserve. At First State Garage Doors, we are dedicated to 100% customer satisfaction and we can’t wait to work with you.